You know how I love to combine challenges, right? Well, this week these two challenges were made for each other! The color challenge at Pals Paper Arts and the sketch from Freshly Made Sketches come together wonderfully. 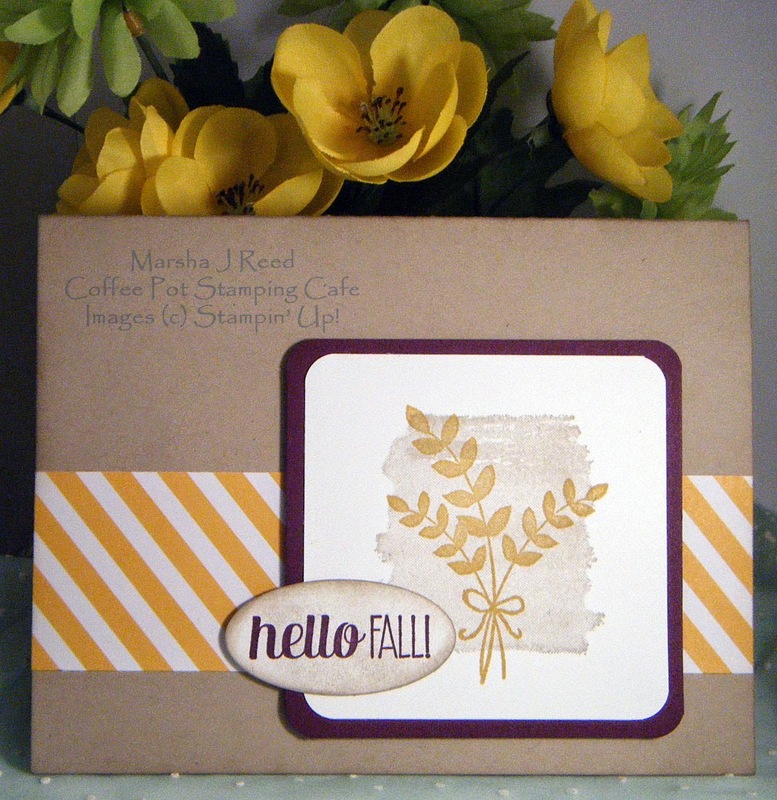 Add the images from the For All Things Stamp Set found in the new Holiday Catalog and you have a clean and simple Autumn card. Today was the first day I felt like being in my craft studio. It's been a sad week for me as my 83 year old friend who lived across the hall from me passed away last Saturday. I didn't want to make a sympathy card so I went with a Fall card. I will miss him. He loved the cards I make so this is a tribute to Bill. I know he is again with his wife and happy now. The Freshly Made Sketches Challenge can be found HERE. Marsha, what a sweet tribute card for your friend Bill! A perfect combination for the two challenges. 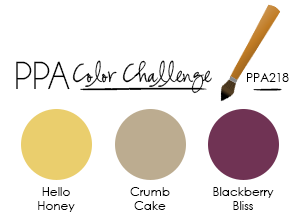 Thanks so much for playing along with the PPA color challenge this week! Thanks, Katy. The colors work well together. Oh, I love this color combo. And it's a fine choice for a fall card. Sorry to hear about the loss of your friend. This card is a wonderful tribute to him. Thanks for joining us at Freshly Made Sketches. Thanks, Jen. It was a great sketch this week! Sorry to hear about your friend, Marsha. This card is a beautiful tribute to him. A simple, elegant card to remember someone special.. Very nicely done. Absolutely beautiful! I love these colours together - they work so well for a fall card. Thanks for joining us at FMS this week! Thanks, Narelle. I love the Freshly Made Sketches challenges. Very sweet card, a perfect remembrance. Thanks for having fun with the PALS this week! Thanks, Sandie. The colors were a great combo this week.